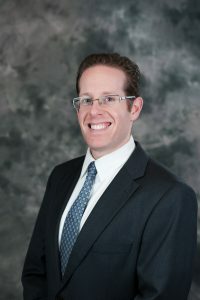 Jason Pivoz joined Mellen, Smith & Pivoz PLC in 2007. Jason was admitted as a Member of the firm in 2014. He has both a bachelors degree in accounting and a masters degree in taxation from Walsh College. Jason uses his technical knowledge to provide full spectrum tax, accounting and business consulting services to his clients. He focuses mainly on, federal, state, and multinational tax planning and compliance. Jason works to assist clients from start-up to succession plan, from college planing to retirement. Jason has assisted clients of all sizes with advanced tax and cash flow planning, corporate formation and restructuring, personal income and estate planning, and transactional planning. Jason is a member of the American Institute of CPAs, Michigan Association of CPAs, and the National Association of Insurance and Financial Advisors. US international tax consulting and planning with extensive experience in business from Asia. Services including: entity structure, establishing and registering the business, worldwide tax planning and tax minimization, compliance reporting, exporters’ incentives, Transfer pricing, key employee taxation matters, etc.